Alex is 4 and due to start at big school! He was diagnosed with Downs Syndrome at birth and has since had hearing impairment diagnosed, so he wears a hearing aid. 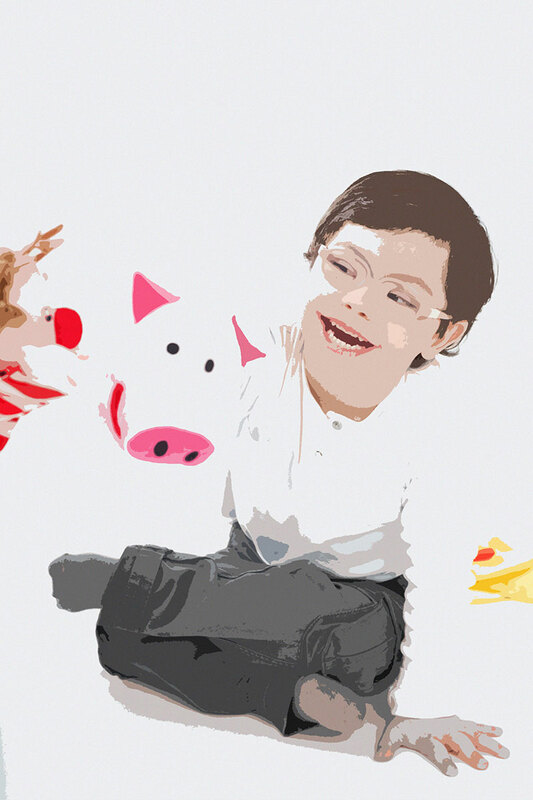 Alex uses sign language and has 121 support in his nursery, but has never had a statement. The nursery told mum, Sandra, that she would need to apply for an EHCP for the start of school and they helped her fill out the forms. Sandra didn’t hear back from the LA for a while and so found a person to contact there. She was concerned that she needed to secure a school place well before the start of term. She had been in contact with her local school from early on to see if they were able to meet his needs. During the assessment phase mum pulled together lots of information about Downs Syndrome and the affect it can have on schooling. She submitted reports from the audiologist, paediatrician, OT and then an Ed Psych came to meet Alex, Sandra and his teacher at nursery. Mum felt she had submitted everything she could and felt the Ed Psych’s report was very comprehensive. “The draft plan meeting included the Head of the new school, even though no formal offer of a place had been agreed at this stage; the Teacher of the Deaf; Staff from his nursery and the LA EHCP co-ordinator. “I’d been in dialogue for 2 yrs with the school about whether they could meet his needs. In that sense the school has been involved all the way through. It was really useful to have them there as they heard all about Alex’s needs and they could talk about how and if they could meet them. “I felt we wrote the plan together as a group. The Speech therapy reports were very helpful as they included very specific targets and details although other reports were just a summary of the visits we had had with them. “When I got the draft there were some changes to make. The first was that they’d put the wrong name on! Some other things were not accurately covered or were ambiguous. It said Alex would continue to receive support from OT and physio ‘as required’. I changed this to SMART targets. I asked for Alex to receive support from OT at least x times per term. It also said he would receive support from SALT at least on a termly basis. I wanted that changing to at least 3 visits per term… with targets for review. I had to be persistent about what was needed in the draft plan. We discussed it and came to an agreed amount they would fund. My aim was to get a comprehensive plan that was specified as much as possible in quantifiable terms. I think it is crucial to have the best plan possible in place for Alex.